This is our go-to cookie recipe. Soft inside, crisp outside. We like to make a bunch and stick them in the freezer for lunches and pms time. 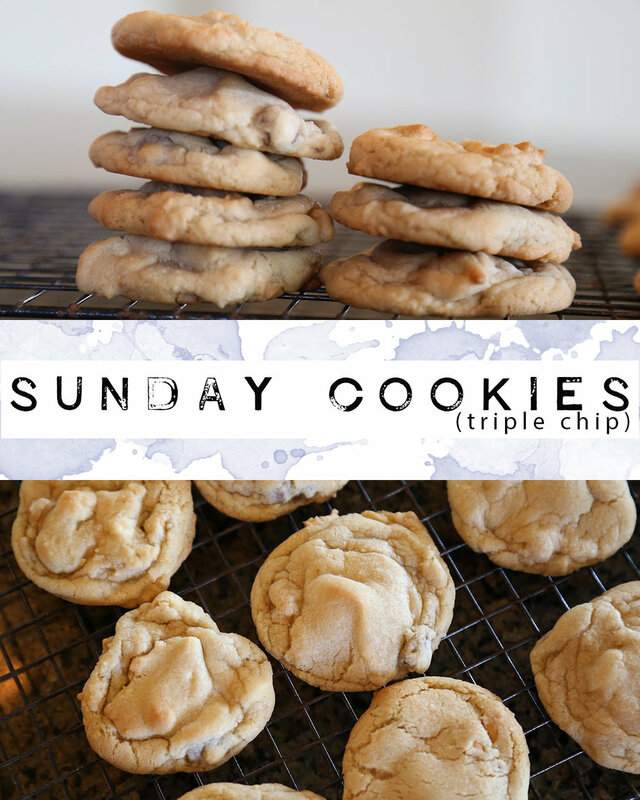 This is our family go to cookie recipe, a Sunday afternoon staple. Cream butter and sugars, add eggs and vanilla. Mix in dry ingredients. Stir in chips. Bake at 350 degrees for 10 minutes.